One of the single most important habits that an individual can get into in order to preserve their oral health and overall wellbeing is making regular appointments with our West Hollywood dentist. During these quick and painless checkups, you and your loved ones will be treated to some of the most important services that we offer that will keep your teeth and gums healthy for a lifetime. 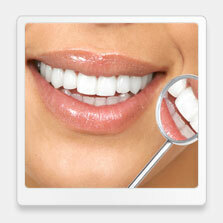 Here is a look at what our West Hollywood dental cleaning specialist can do for the health of you and your family. No matter the advances that are made in the field of dentistry, a very high percentage of Americans continue to suffer with tooth decay and gum disease. The Center for Disease Control and Prevention states that as many as 1 in 4 Americans will have lost the majority of their natural teeth by the time they reach the age of 65. Fortunately, our expert on dental cleaning in West Hollywood can provide the services and treatment that is going to allow our patients to prevent and catch many of the most serious oral health conditions. 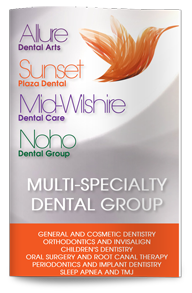 Our West Hollywood dental cleaning specialist will begin by removing any buildup of plaque and tartar in and around the teeth. If plaque is left on the teeth too long, it could spread under the gum line and begin to form pockets of bacteria. These pockets of bacteria will eventually develop into gingivitis, the first stage of gum disease. Countless Americans suffer from some form of gum disease and the painful side effects such as bleeding and swollen gums. Those that let this situation progress into periodontitis are going to be at a much higher risk of ailments such as diabetes, coronary heart disease, and tooth loss. While daily brushing and flossing is the first step to cleaning one’s teeth, they are not sufficient in thoroughly cleaning away the most severe buildup. If you are ready to have the brightest and healthiest smile of your life, contact our expert on dental cleaning in West Hollywood. Dr. Ghasri and our team of dental specialists are ready to change your smile.